With just one week until show time, SBS and production partner Blink TV today announced the final two songs for Eurovision – Australia Decides. Much-loved indie band Sheppard will sing the ultimate love song On My Way, while ARIA award-winner Tania Doko’s Piece of Me is full of heart. 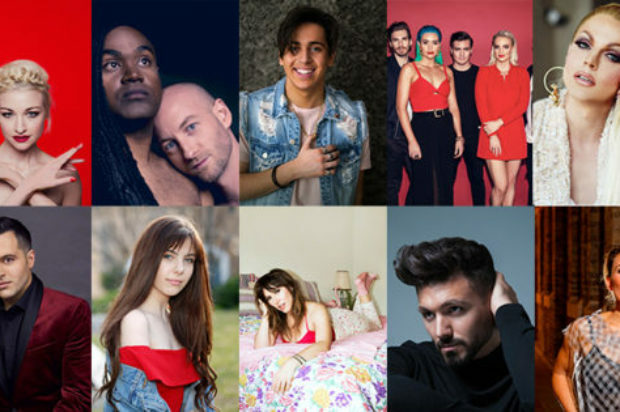 Hosted on the Gold Coast and broadcast live and exclusively on SBS on Saturday 9 February, Eurovision – Australia Decides will showcase some of Australia’s biggest acts, singing original compositions, for their chance to represent the country at the Eurovision Song Contest 2019. During the Jury Preview Show on Friday 8 February, a Jury of industry experts will vote. During the Live TV Final on Saturday 9 February, the Australian public can vote for their favourite acts via SMS*. The public vote makes up half of the overall vote and public voting will close at approximately 10:15pm AEDT. The winner that receives the most points overall will go on to represent Australia at the Eurovision Song Contest 2019 in May. The final ten acts vying for their shot to represent Australia on the world’s biggest stage are: award winning artist Kate Miller-Heidke with Zero Gravity, indie pop band Sheppard with On My Way, classical crossover star Mark Vincent with This Is Not The End, modern electric-soul duo Electric Fields with 2000 and Whatever, legendary drag queen and reality television veteran Courtney Act with Fight for Love, charismatic pop star Aydan with Dust, 16-year-old singer-songwriter Leea Nanos with Set Me Free, rock music icon Ella Hooper with Data Dust, bona fide Aussie pop legend Tania Doko with Piece of Me and The Voice winner Alfie Arcuri with To Myself. But wait, there’s more… Joining the star-studded line-up for an unforgettable half-time performance is Australian Eurovision royalty Dami Im who returns to the Eurovision stage after claiming second place in Sweden in 2016 with her power ballad Sound of Silence. In association with the Queensland Government via Tourism and Events Queensland and the City of Gold Coast, Eurovision – Australia Decides will be presented at the Gold Coast Convention Centre on Friday 8 and Saturday 9 February and tickets for the Jury Preview Show, Matinee Preview Show and Live TV Final are now on sale. Be a part of history and see it live at the Gold Coast Convention and Exhibition Centre. Eurovision – Australia Decides airs Saturday 9 February live on SBS, when voting will be open to the public.